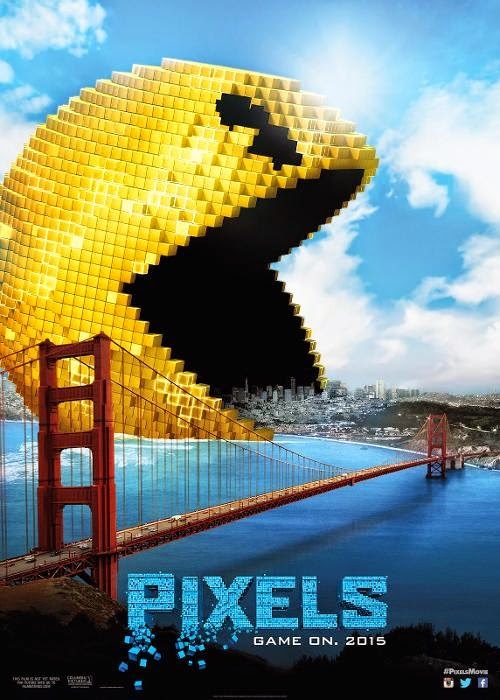 80's videogame characters will be attacking Earth in this Summers Chris Columbus directed, Adam Sandler starring Pixels, and Sony have dropped the obligatory teaser for the trailer, while not giving away alot, does a good job of building excitement (and nostalgia) for the full trailer debuting tomorrow. I mean, how awesome is that Pac-Man on the building at the end? And the 'waka waka waka'? Yeah, if you have any affinity for old computer games, this will probably be the movie for you.